The iconic Cross Keys pub in London's Chelsea offers a delicious seasonal menu and pub classics along with a range of real ales. 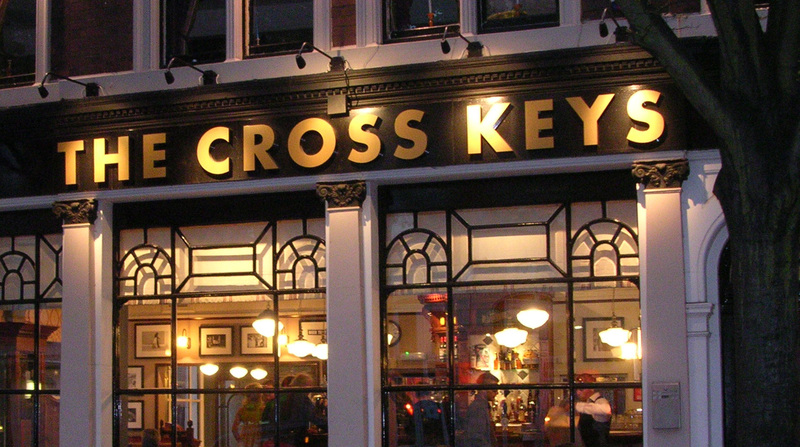 Renowned for its history and famous patrons, The Cross Keys offers a dose of celebrated comfort in a cosy corner of Chelsea. From innovative, seasonal dishes to pub classics and Sunday roasts served with a choice of real ales, wines or drinks, The Cross Keys offers the perfect gastro experience. Come by to sample the menu or just enjoy some bar snacks and a pint at Chelsea’s iconic local pub.